Terrific acting on the parts of everyone---both kids and adults. 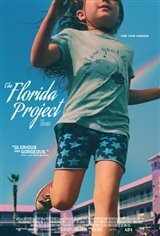 Childhood is the most critical time of anyone's life, and this film shows how kids cope in difficult circumstances. Poor parenting here shows how poverty of spirit is as damaging as material poverty. I thought about the film long after seeing it last fall. This is a very bad movie. Please don't waste your time. So unusual // So "Tell it like it is" (how she people live)// Its sadness, to see generations developing // Its amazing acting by the children, and Dafoe and lead female. Very humanistic representation of how children can be oblivious, or are simply too young to understand the things that are happening around them. On top of that, the cinematography and colors are amazing! Wonderful! This takes you into the world of children and their families who live on the margins--paycheck to paycheck. Handled with affection and finds joy where you might not think much could exist. One star is too much but nothing lower available. 90 minutes of a few kids running around. Felt like two days and we left with ten minutes to go. Kept waiting for something to happen and it was just several obnoxious kids doing kid things screaming and learning from a mother how to be dishonest and sponge off of people with good hearts. Dafoe had a bit part with very little to do with the outcome. The only good thing was we had a coupon for the admission and popcorn so we didn't actually waste our money on this piece of trash. We did waste a free coupon though. May it rest in peace. Wonderful film, a must see.